Called and emailed Jeff last night and finally received an email response; he had a hard day of work (too bad on his birthday) but enjoyed a nice birthday dinner with his favorite people: Alice, Malia and Samantha. Now he's into his 53rd year! This morning Terri and Mike left us here in Matehuala (pronounced: MA - TA - OO- A' - LA). 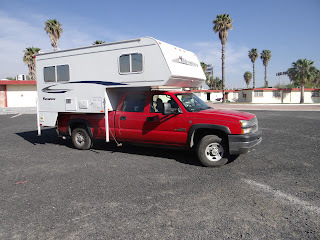 There heading out of Mexico into Texas today to meet up with great friends and fellow birders to enjoy some avid birding before they head out of Texas and up to Colorado and then all the way to Alaska - where they'll visit all over the State to publish a new addition of their book re: RV and truck camping in Alaska. 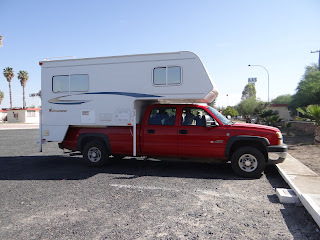 They are permanent RV-ers who keep a little casita and 'yard' in Arizona; where they can pull in, rejuvenate and reorganize for the next adventure. They literally been all over the World; may even be in Africa next Winter Season! A great couple; they're both (non-practicing) CPAs, who met, married, and soon thereafter decided on this travel adventure way of life. They're highly respected for their in-depth guides for motor home, trailer and truck campers. And, as I've mentioned before, the more I live in my little home away from home, the more I like it! Thanks for the post. 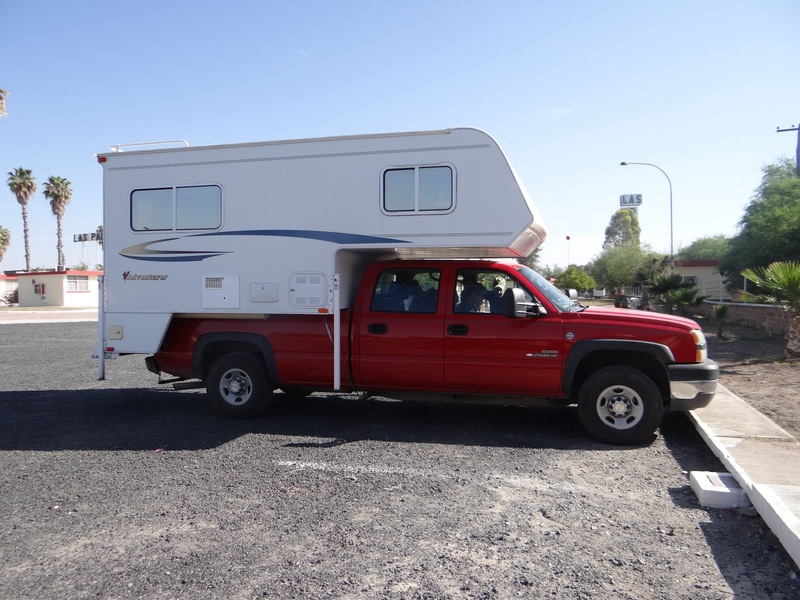 You should take part in a contest for one of the best blogs on adventurer truck campers. I will recommend this site!